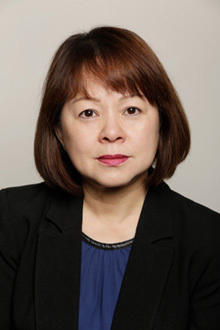 Hong Luan graduated with a Bachelor of Laws from Queen Mary University of London in 1984 and was admitted as a Barrister of the Supreme Court of England and Wales in 1985. From 1986 to 2002, Hong Luan practiced law in Singapore focusing on commercial and property law. During this period, she became a partner of a commercial legal practice in Singapore. In 2003, Hong Luan migrated to Australia and was admitted as a Barrister and Solicitor of the Supreme Court of Western Australia. Hong Luan joined Robertson Hales Lawyers in 2009. She brings to the legal team more than 20 years of experience in advising and structuring commercial and property transactions. She currently advises clients on the sale and purchase of businesses and real estate, joint venture agreements, investment agreements, liquor licensing and security documentation. No matter is too small or too large for Hong Luan. She handles the sale of small family operated businesses as well as multi-million dollar property joint venture arrangements. Hong Luan represents many overseas companies and new migrants investing in business ventures in Australia. She understands the concerns of her clients and the common traps that they may fall in as a result of their unfamiliarity with Australian law and business culture. Hong Luan finds great satisfaction in guiding clients through the entire business transaction from inception to completion. Hong Luan speaks Mandarin and is also fluent in Hokkien and Cantonese. For all enquiries, please contact Hong Luan on (08) 9325 1700 or email her at hlchua@robertsonhayles.com.